12 October 2018 / US Stocks / Electronic Arts inc.
Is it “Game Over” for Electronic Arts or just a golden opportunity to buy the dip in the share price? In the first half of 2018 Electronic Arts managed to reach a new high in its share price just before the first quarter earnings report. EA beat analyst consensus on the bottom line, but investors were very much disappointed with the companies forward guidance. Investors subsequently started to sell the stock driving the share price lower. And if things couldn’t get worse the company announced in August that there would be a delay in the release of Battlefield V, one of its biggest franchises. This announcement sent the stock plummeting even further. 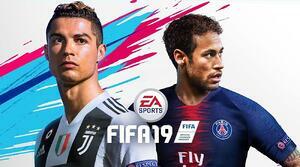 But Looking at the bigger picture, EA stated that their core games (FIFA, Madden NFL and The SIMS) to name a few are expected to continue with their strong performance. With great initiatives on the horizon, especially around FIFA and online eSports competitions the stock looks set for a turnaround. 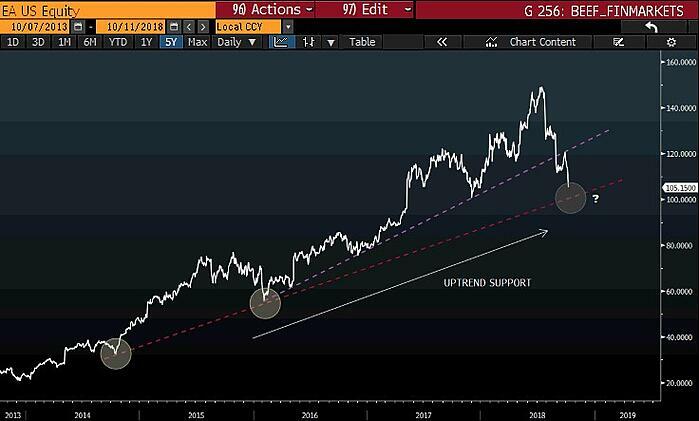 Peeking at the long-term chart we can see the uptrend from the lows of 2013 to the highs we saw in 2018. The price action has been retracing from the highs and might move lower still. Which is not a bad thing for investors as we can buy the stock at a lower price and capitalize when the price moves higher once again. Zooming into the intraday chart we can see the sell-off from the highs, also trending below the 50-day simple moving average (blue dotted line). I expect with the sell-off in the international markets that the price might move lower still. 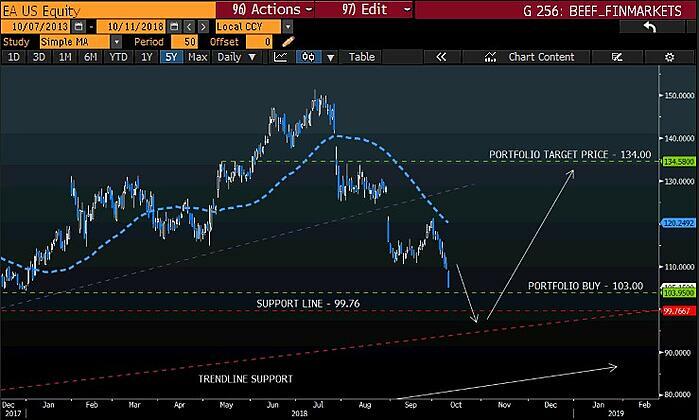 I am looking to buy the stock with a rebound from the $99 support level back to a target price of $134. In 2013 EA was credited as the worst company in America, its share price was at $26 and in 2018 it reached an all-time high of $151 per share.